This monitor is consisting of pulse oximetry and capnography parameters. 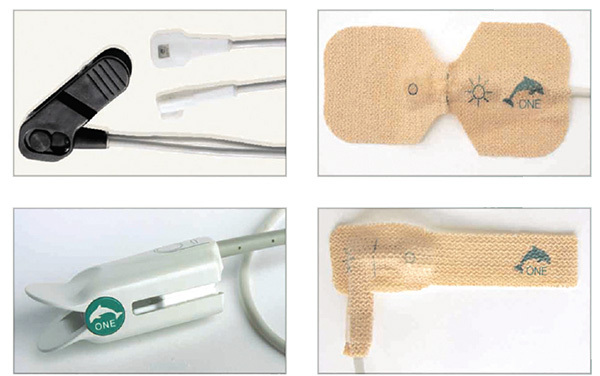 It can use in the field of anesthesia monitor. Big screen with high acuity on parameters can provide better solution for physicians and hospital responsible personals to monitor patient safely. Digital pulse oximeter with high accuracy capnography together make system more useful to achieve better options for patient monitoring. Alarms are providing according to related standards and system designed to connect to all ICE servers base on HL& protocols for transferring patient data. Light weight and high battery capacity can help to use this system as portable system with patient. Note: There is no display delay for the calculated value. Recommended Methods of Sterilization or Disinfection Using a soaked swab with alcohol for the external parts of system, SpO2 sensor and extension cable for appropriate cleaning instructions. Degree of Safety of Application in the Presence of a Flammable Anesthetic Not suitable for use in the presence of a ﬂammable anesthetic mixture with air, oxygen or nitrous oxide. Do not use functional tester to assess the accuracy of pulseoximeter probes and monitor. If You Have Any Question About ACCUDIS908 Please Ask Us.